(or just a table or two) any time. "Whether you’re in the mood for a slow-sipped cocktail or a few frothy pints, Matt Torrey’s has your back." Voted Best Beer Bar in Brooklyn by L Magazine in 2012, Torrey's serves 20 craft beers (most of them from New York State) on draft, and over 20 more in bottles and cans. 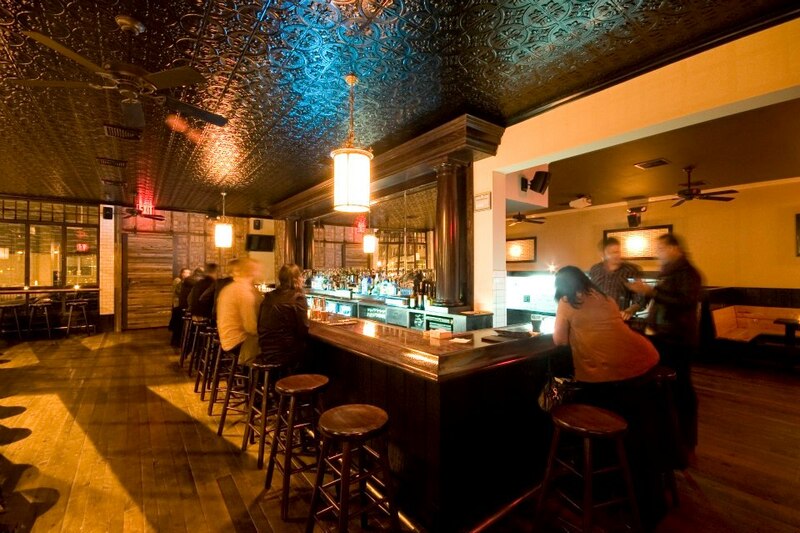 With its beautiful ash bar, tin ceiling, antique oak floors (reclaimed from a 100 yr old Virginia farm house), two large rooms and giant windows that provide a panoramic view of the corner of Bushwick and Ainslie, Torrey’s is both rustic and elegant, perfect for large parties. The back room has a 96” screen for watching all major sporting events, and in the front room live music is performed weekly. Torrey's serves delicious pressed sandwiches, 10 inch pizzas and Sigmund's hot, soft pretzels. Come in on Saturday and Sunday for complimentary bagels with all the fix in's, as well as $5 Bloody Mary's and Mimosas until 8PM. Open M-F 3pm - 4am, Sat & Sun noon – 4am. Credit Cards accepted.